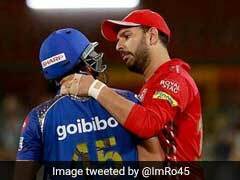 AB de Villiers and Moeen Ali struck magnificent half-centuries as Royal Challengers Bangalore (RCB) held their nerves under pressure to beat table-toppers SunRisers Hyderabad (SRH) by 14 runs in a must-win match and stay afloat in the Indian Premier League (IPL) 2018 on Thursday night. 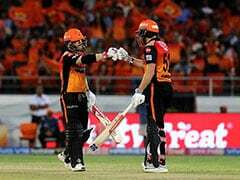 Asked to bat, RCB posted a mammoth 218 for six before surviving a scare from SunRisers skipper Kane Williamson (81 off 42) and Manish Pandey (62 off 38) to restrict the visitors to 204 for three. 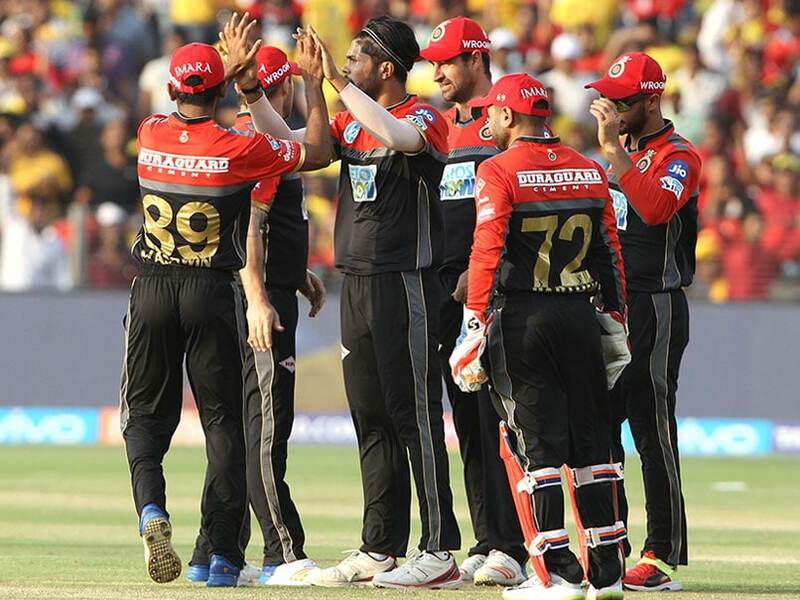 De Villiers (69 off 39) and Ali (65 off 34) overcame a bad start to stitch 107 runs off just 57 balls for the third wicket to not only set the platform for RCB's total but also keep their team in contention. 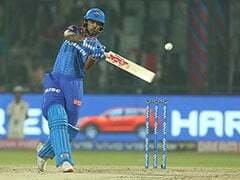 De Villiers brought up his fifty off 32 balls with two consecutive boundaries off Kaul (2/44) in the 12th over and then Ali followed suit notching up his maiden IPL half-century with a four of Thampi in the next over. 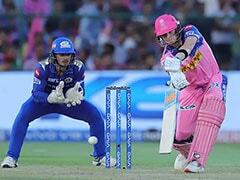 The duo went hammer and tongs as an otherwise tidy SunRisers bowling attack looked clueless in front of the onslaught. 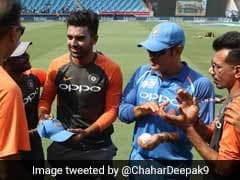 De Villiers perished in search of a big shot caught by Shikhar Dhawan at deep square leg while Ali reverse-paddled a delivery to Sreevats Goswami behind the stumps a ball later. While De Villiers struck as many as 12 fours and one six, Ali's innings was laced with two boundaries and six hits over the fence. 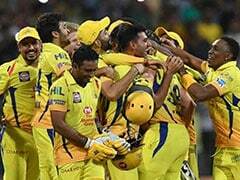 Thereafter, Colin de Grandhomme used his brute power to score 40 runs off just 17 balls while Sarfaraz Khan remained unbeaten on 22 off 8 balls to provide the late impetus to RCB's innings. It turned out to be a forgettable day for Thampi as he conceded the most runs by a bowler in an innings in the history of IPL. He leaked 70 runs from his dour overs. That's it from us today. A match certainly worth all its penny. Bangalore live to fight another day. On the 18th, Delhi play hosts to Chennai which will begin at 2000 IST (1430 GMT). Join in for that game. Goodnight! With not much doubt, AB de Villiers is awarded the Man of the Match Award. His superman knock of 69 from 39 and some great work in the field helps him get another trophy. It was Yuzvendra Chahal's spell in the middle overs which put the brakes on the opposition. 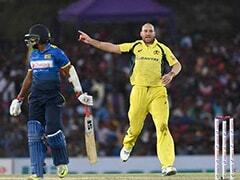 He bowled with guile and along with Umesh Yadav took off some of the momentum from the tourists' chase. However, credit needs to be given to the visiting team for hanging in till the end. The scoreboard pressure was too much eventually and in the end, Siraj delivered a good final over to restrict the visitors. It was the ever-reliable Kane Williamson who combined finesse with timing to keep his side in the hunt. Manish Pandey struggled initially but found his touch gradually. The 135-run stand between the duo kept them afloat. The hosts were shoddy in the field and that helped the cause of the visitors. Bangalore are still in the race for the playoffs. Yes, the youngster, Siraj has held his nerves to get his side over the line. What a dynamic game we have witnessed! Got to feel for Hyderabad. The visitors got off to a decent start but two wickets in quick succession pegged them back. That's it! Bangalore hold their nerves and defend the target successfully. They are still alive in the competition. Full and straight from Siraj, Pandey forces it through mid-wicket for just a single. BANGALORE WIN BY 14 RUNS AND MOVE TO 12 POINTS NOW. Slices this over backward point in no-man's land for a couple of runs. DROPPED! Won't count much but that should have been taken. Skipper Kohli puts down his second of the night. Full and outside off from Siraj, Hooda carves this over mid off. The dropped catch results in one run. 19 needed from last 3 balls. The Bangalore crowd is up and buzzing. Leg bye! Full toss and Manish cannot deposit this out of the park. Hits his thigh pad and rolls past the keeper. They can only manage a run. Game for Bangalore?